There are plays - often suspense-thrillers that have big surprises toward the end and to know in advance takes away the joy of its clever twists. Think Deathtrap or Murder on the Orient Express. Then there are other plays that reveal themselves in stages, through little discoveries, dialogue, and direction that, if known ahead of time, also diminish the fun for audiences. So is the case with the world premiere of The Engagement Party, which is all about deceptions. The play, by Samuel Baum, is presented at Hartford Stage Thursday, Jan. 10 through Sunday, Feb. 3. It's recommended for those 18 and older. 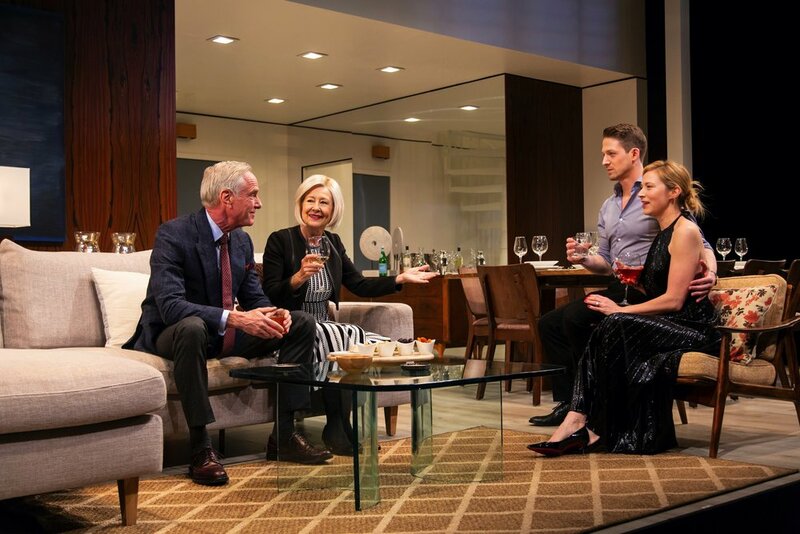 The theater tries its best to convey information about the new work, calling it a "suspenseful contemporary drama [that] centers on a young couple's intimate gathering with family and friends to celebrate their engagement—an evening that leads to a spiraling sequence of events and revelations that will irrevocably change their lives." "It's all about secrets and lies, one on top of another and soon the play is going fast and furious," says Zach Appelman, who last starred at Hartford Stage in the title role in Hamlet. This time out he plays a young hedge fund operator—"a self-made millionaire" who grew up in working class Brooklyn—and there's an engagement party in which he's joined by college and work friends and his future in-laws. "Samuel's writing is very sharp and witty and he's got a great hand with snappy, intelligent dialogue," says Appelman of the swift-moving, intermission-less play that also features veteran actor Mia Dillon.